Gostivar (Macedonian: Гостивар [ˈɡɔstivar]; Albanian: Gostivar/Gostivari; Turkish: Gostivar), is a city in the Republic of Macedonia, located in the upper Polog valley region. It is one of the largest municipalities in the country with a population of 81,042, and the town also covers 1.341 square kilometres (331 acres). Gostivar has road and railway connections with the other cities in the region, such as Tetovo, Skopje, Kičevo, Ohrid, and Debar. A freeway was built in 1995, from Gostivar to Tetovo, 24 km (15 mi) long. Gostivar is the seat of Gostivar Municipality. 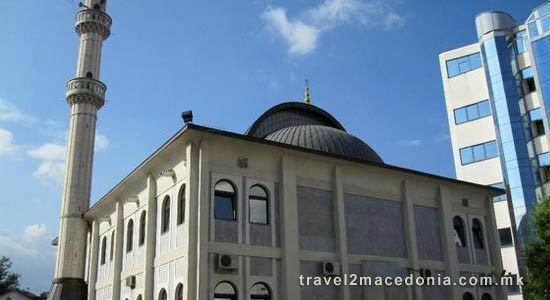 Gostivar is situated on the foothills of one of the Šar Mountains. Near to Gostivar is the village of Vrutok, where the Vardar river begins at an altitude of 683 meters (2,241 ft) from the base of the Šar Mountains. Vardar River extends through Gostivar, cutting it in half, passes through the capital Skopje, goes through the country, enters Greece and finally reaches the Aegean Sea. It is known that there was a town called Draudak (built in 170BC) near or on the current place of Gostivar. Early mentions of the town was made by the Roman historian Livy. He records how during the Third Macedonian War the King of Macedon Perseus at the head of 10000 men, after taking Uskana (Kicevo), attacked Drau-Dak, today Gostivar. 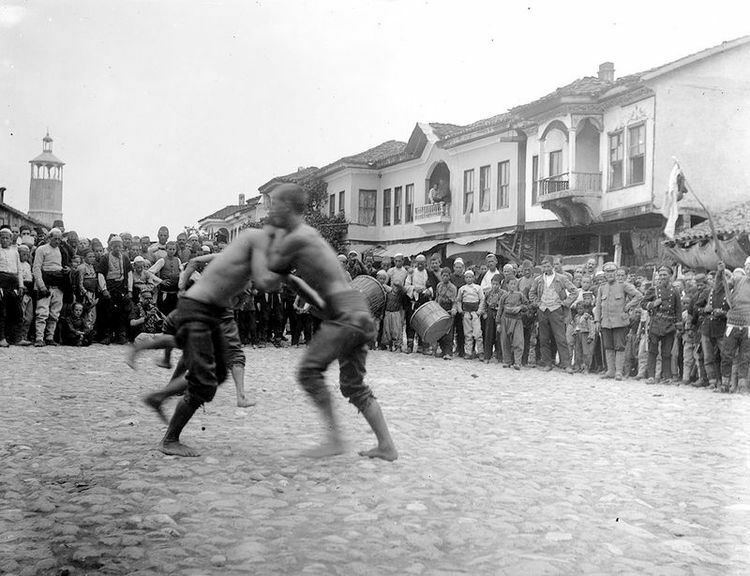 In the late 19th and early 20th century, Gostivar was part of the Kosovo Vilayet of the Ottoman Empire. From 1929 to 1941, Gostivar was part of the Vardar Banovina of the Kingdom of Yugoslavia. 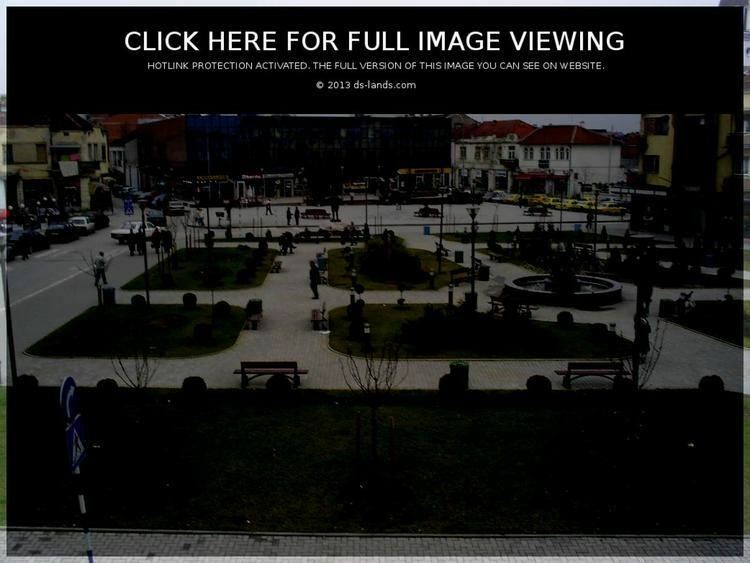 Gostivar is a merchant city. From the second half of the 19th century, merchants started moving in and opening stores. There is also a market day, Tuesday. 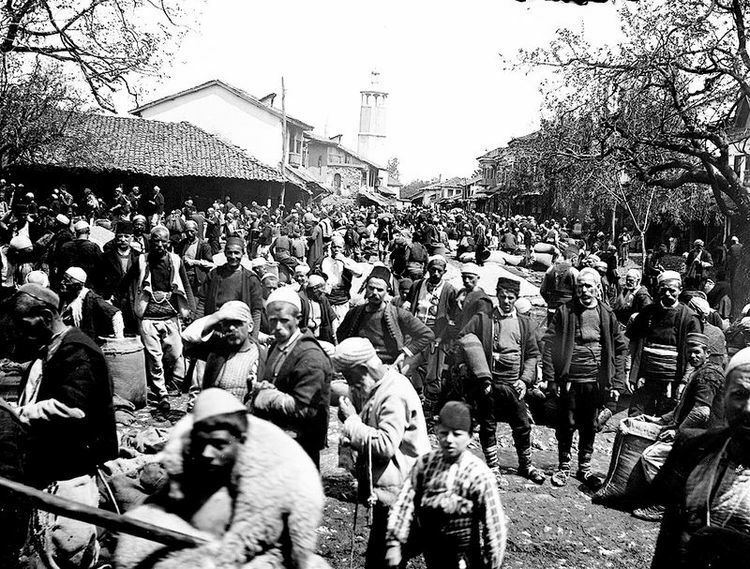 Merchants from Kruševo, Kičevo, Tetovo and Veles were the founders of the Gostivar merchant centre at that time. Today they have become electricians, mechanics workers, and Gostivar is a modern city. There are 20,000 Expatriate citizens who are a key source of income in the municipality economy. It is calculated that each year between June and August, approximately 500,000 euros are brought into the city when they return. In May 2015, an automotive company announced that it would open a new plant in Gostivar in the summer of 2015. Leaving Gostivar on the way to Ohrid, the village Vrutok has the gorge of the biggest river in Macedonia, Vardar, which is 388 km (241 mi) long and flows into the Aegean Sea, at Thessaloniki. Gostivar is one of the biggest settlements in the Polog valley. The Polog valley can be observed from the high lands of Mavrovo and Galičnik. Approximately 26 km (16 mi) from Gostivar is a ski resort, "Zare Lazarevski", in the Mavrovo National Park. Mavrovo attracts tourists during all seasons, but is more popular in winter when it is all covered with snow. The tourist resort has 1200 beds and over 1000 villas, with hotels, restaurants and shops. The Mavrovo region hosts ski tournaments and other sport recreations. The peaks on the northern part of the Bistra mountain: Rusino Brdo, Sultanica and Sandaktas, host winter sport activities. The Šar Mountain is one of the most important Alpine mountain ranges in Macedonia together with neighbouring Mount Korab and Bistra mountains. The range is 80 km (50 mi) long and 12 km (7 mi) wide and is covered with snow from November till March or April every year. Its highest peak, Titov Vrv, is situated on 2,760 meters (9,055 ft) above sea level. Fauna of the area includes the Šarplaninac dog, which are used by the sheep-herders of Šar Mountain (Šar Planina in Serbian and Macedonian), to guide and protect their sheep herds. Bears, wild boar and deer exist also. The area has a variety of vegetation and wildlife, including medical herbs, and even hunt activities can be arranged. Šar Mountain is among the largest compact area covered with pastures on the European Continent. This provides opportunities for animal husbandry. Dairy products, mainly cheese and feta cheese, are made in the many sheepfolds on Šar and the adjacent mountains. These include several kinds of feta cheese, like Shara and Galicnik. Located in the northwestern part of Macedonia, Popova Shapka is another winter ski resort. It is situated on the Šar Mountain, 1,780 meters (5,840 ft) above the sea level, just 35 kilometres (22 mi) from the capital Skopje. Popova Shapka has hotel accommodation. Visitors not from the Republic of Macedonia, and elsewhere other countries, use the facilities. Popova Shapka has been a host to both the European and Balkan Ski Championships. Not far from the resort, there are a number of small glacial lakes around on the mountain. There are two ways to get to Popova Shapka: by car, and by rope-railway with a starting location in Tetovo. The rope-railway is 6 km (4 mi) long and it takes about 36 minutes to reach the top.